Ed Drewitt is a freelance naturalist, broadcaster, wildlife detective and consultant. 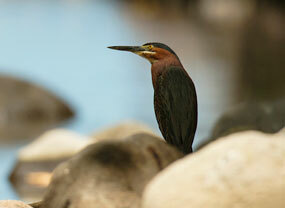 He recently guided a bird watching group booked through Naturetrek. Read his brief account of the amazing trip to Saint Lucia. When birdwatchers consider a new destination for their next holiday, one of the first questions they ask is "what are the speciality birds of the area?". High on their list of priorities will be birds that are endemic to that location - in other words, they are found nowhere else on earth. St Lucia is blessed with five such species and four of them can be found within the grounds of Anse Chastanet with the fifth located not too far away. Firstly there is the St Lucia Pewee - a delightful small flycatcher; green on top and orange underneath which sallies out from its favored perch in search of prey before returning to the same branch. These can be found both along the entrance track to the resort and also in the estate at Anse Mamin. Next, the St Lucia Warbler, both brightly colored and inquisitive; blue-gray above with bright yellow under-parts and black facial markings, it is widespread throughout the grounds. Not quite as numerous, but both dramatic and boldly colored is the yellow and black St Lucia Oriole. Back in 1987, there were considered to be less than 60 pairs in existence, however there has been a considerable recovery since and probably two different pairs can be found at Anse Mamin. Finally, there is "Jacquot," our national bird, officially known as the St Lucia Parrot or Amazona Versicolor. Threatened by extinction in the 80's, there now is a flourishing population of perhaps 1,000 birds normally found in the nearby rainforest and selected areas. Whilst not strictly endemic, two other species easily found on property only occur on one or two nearby islands: the Lesser Antillean Saltator and the Gray Trembler. Both are easily found in the damp lowland deciduous estates and the drier forested slopes. 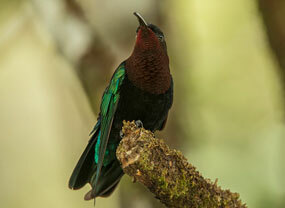 However, you don't have to hike into the woods to find a wealth of colorful birdlife. Both Green and Purple-throated Caribs together with their tiny relative the Antillean Crested Hummingbird can be found taking nectar from the flowerbeds surrounding the accommodation areas; both Zenaida Doves and Common Ground-Doves amble along the walkways in the early mornings whilst Scaly-naped Pigeons, Scaly-breasted Thrashers, Tropical Mockingbirds and Gray Kingbirds are ever present along the tree-lined roadways. Overhead, both Broad-winged Hawks and American Kestrels keep an eye out for prey; Magnificent Frigate birds, or "Cisseau" as they are known locally simply hang in the air looking for a free meal whilst in the restaurant, if you don't keep a watchful eye on your butter or jam, those piratical Lesser Antillean Bullfinches and Bananaquits will enjoy a stolen breakfast. And a final note on the subject of "special birds." Keen "birders" will be well aware just how shy and elusive Mangrove Cuckoos are to see - there is nowhere in the world where this species is easier to find than at Anse Chastanet. Ed Drewitt is a freelance naturalist showing people wildlife around the world. He also studies urban Peregrines. 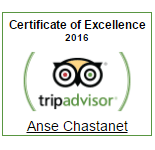 Ed has been escorting birdwatching groups to Anse Chastanet, Saint Lucia for over 5 years. Once you step off the plane onto the runway in St Lucia the hot sunshine hits your skin; the air smells and feels tropical and moist. The lush vegetation and colorful flowers grace towns and villages on your way to Anse Chastanet. On every other power line Gray Kingbirds, a type of flycatcher, stand tall waiting to fly out in a circle to catch an insect while gangs of Carib Grackles, black, glossy birds related to the Starling look for grubs and insects. 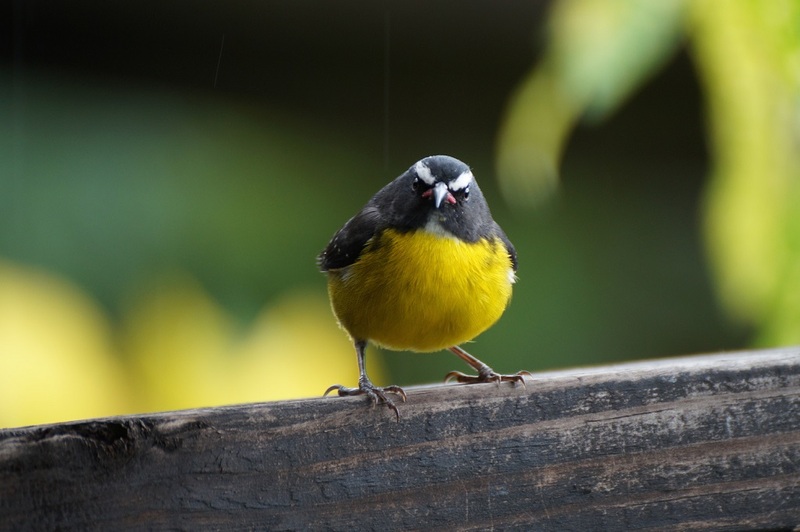 Anse Chastanet offers the ideal location to spot common birds of St Lucia including many that are only found on the island (endemics) and is well positioned to travel out from on day trips to see many of the more secretive and rarer birds in the mountain rainforests. 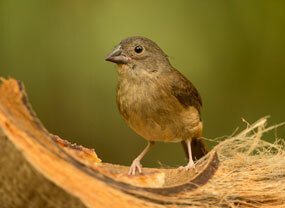 As you enter the Treehouse Restaurant for breakfast it is worth taking your binoculars and camera to spot the local Lesser Antillean Bullfinches, bright yellow Banaquits, and iridescent Carib Grackles looking for titbits. You may even be lucky to spot a Gray Trembler, quivering its wings in excitement. If you take a table looking out across the tree canopies you have a good chance of spotting some shy species such as the Spectacled Thrush, a brown thrush with yellow color skin around its eyes. From the bar you can enjoy the freshest of cocktails while watching Scaly-breasted Thrashers feeding in the adjacent trees, and as the sun drops below the horizon the beautiful song of the Tropical Mockingbird permeates the airwaves. Free-tailed Bats begin to fly around in big numbers, and down by the beach the White-crowned Night Heron may appear to feed on Ghost Crabs. Keep your eyes up towards the sky – you never know what may pass overhead from frigatebirds to Brown Boobies, and Peregrines to Ospreys. 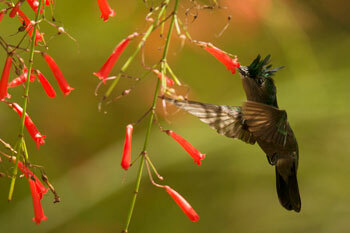 Throughout Anse Chastanet, the colorful, tubular flowers provide the perfect food source for hummingbirds. There are three to look for – the Antillean Crested Hummingbird, green with a distinctive crest on its head; the Purple Carib, often looks black but in the right light to a lovely purple or Merlot red; and the Green Carib, a green hummingbird but without the crest. In the nearby Anse Mamim Broad-winged Hawks and American Kestrels may soar overhead and the woodland is home to Spectacled Thrushes, vireos, St Lucia Warblers, and St Lucia Peewees. The stream running through the woods is a good spot to look for Spotted Sandpipers, Blue and Green Herons. The dawn chorus around 6am is a time to listen for the Gray Kingbirds – the main sound you will hear in the morning accompanied by the calls of Zanaida Doves and perhaps the mockingbird. An early start is also a good time to visit some of the forest nature reserves where you have the chance to see the endemic parrot, the St Lucia Parrot. A colorful bird, this large parrot disappears in its forest habitat as its colors make it very well camouflaged. St Lucia Peewees, St Lucia Warblers and hummingbirds are all common. And in these areas you may also see or hear the St Lucia Oriole, a black and yellow bird with steely gray legs and beak and the Rufous-throated Solitaire with its beautiful single note song. Meanwhile, the Millet reserve is a good place to watch for the St Lucia Black Finch as it comes to feed on coconuts put out for it. Whether you just want to chill on the beach or fancy more of an adventure around Anse Chastanet's estate or further afield into the native forests you can be sure to see something and catch a glimpse of St Lucia's wild side. Anse Chastanet is fortunate to have one of the island’s best birdwatching locations right on the resort property within the Anse Mamin plantation. Participants meet at the Scuba Center at 7:30 a.m. for an orientation by our Birdwatching Guide and to receive binoculars before boarding our transport boat. The tour begins with viewing several species which nest in coastal cliffs in the area. Then it’s on to Anse Mamin and into the lush coastal jungle with its 18 th century plantation ruins. The tour is designed for both novices and veteran birdwatchers. Interesting ancillary information about the old plantation and its existing flora and fauna will be also be presented. Guests will be returned by boat to the Anse Chastanet Beach by 9:30. For those who wish to combine birding with a visit to St. Lucia’s most lush rain forest we offer tours to the Des Cartier Trail, which is located inland from the east coast village of Micoud. Following ridge tops at about 1,800-feet above sea level, this relatively easy 1.5 mile loop hike takes you through one of the wettest tropical forests on earth receiving as much as 150-200 inches of rain annually. The St. Lucia Parrot is readily encountered along this trail. You will depart the resort in an air-conditioned taxi; traveling south along the island’s West Coast Road you pass through the villages of Choiseul and Laborie. Reaching the Vieux Fort area you will cut across to the island’s east coast where, after a short distance traveling north, the route turns west to climb back into the central Rain Forest Reserve to the Des Cartier trailhead. The leisurely walk on the loop trail takes some 2 hours. To add to the day’s sightseeing the return journey will take you around the southern tip of the island providing views of the Maria Islands before ascending Moule a Chique, where the third loftiest lighthouse in the world is found. From the top the sights are truly spectacular in all directions including unique views of the Pitons and the island of St. Vincent to the south. The return journey also includes a stop at the Vieux Fort Wetlands. The two locales visited on this excursion are recognized to offer some of the best birding on island and provide and excellent chance of viewing the endangered White Breasted Thrasher. The tour begins with a scenic drive north before cutting across the island’s central interior to the east coast community of Dennery; along the way there is a brief stop at the Cul de Sac Wetlands to view the ever present Cattle Egrets. Guests will meet their highly knowledgeable local birdwatching guide at the Mandele Overlook just south of Dennery. The guides used are longtime veterans of the Department of Forestry and have vast experience in the area and in particular, in finding the White Breasted Thrasher. The guide will choose specific sites to visit depending on the time of day, time of year and weather conditions to ensure a most enjoyable birding experience. The return journey will take you around the southern part of the island to add to the day’s sightseeing enjoyment. 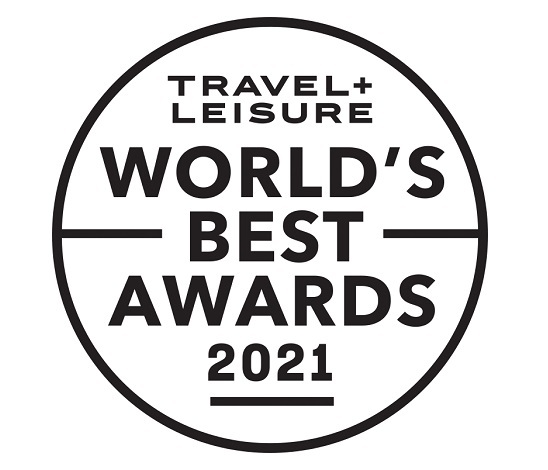 Schedule: 6:00 am – 2:00 pm Rates: $220 per person (min 4) / $720 (private per couple) / $610 (private 1 person) + 10% VAT * includes packed breakfast, beverages & water. 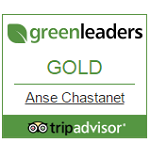 The three locales visited on this exclusive Anse Chastanet Resort excursion are recognized to offer some of the best birding on island and provide and excellent chance of viewing the endangered White Breasted Thrasher as well as the Saint Lucia Parrot. The tour begins with a scenic drive north before cutting across the island’s central interior to the east coast community of Dennery. Guests will meet their highly knowledgeable local birdwatching guide at the Mandele Overlook just south of Dennery. The guides used are longtime veterans of the Department of Forestry and have vast experience in the area and in particular, in finding the White Breasted Thrasher. The guide will choose specific sites to visit depending on the time of day, time of year and weather conditions to ensure a most enjoyable birding experience. Following visiting those two enjoyable sites you will journey south to the Des Cartier Trail, which is located inland from the east coast village of Micoud. Following ridge tops at about 1,800-feet above sea level, this relatively easy 1.5 mile loop hike takes you through one of the wettest tropical forests on earth receiving as much as 150-200 inches of rain annually. The St. Lucia Parrot is readily encountered along this trail. The leisurely walk on the loop trail takes some 2 hours. The return journey will take you around the southern part of the island to add to the day’s sightseeing enjoyment. You will return to the resort around 2:00 pm in time for lunch. These two locations are visited as part of the Des Cartier Trail excursion but can be visited as a separate tour which will include special private access to the property of the Moule a Chique Lighthouse. Moule á Chique is the rugged towering peninsula that is the southern-most tip of the island and the meeting point of the Atlantic and the Caribbean. A paved road winds itsf way to the very top where extraordinary views can be enjoyed in every direction; sheer cliffs dropping over 800 feet to the sea are home to many sea birds. The lighthouse located atop Moule á Chique is the third highest in the world. The Vieux Fort Wetlands is a small area at the west end of the Hewannorra runway where a variety of birds can be seen. The Forestiere Rainforest Trail is part of an Old French Road that traverses through Saint Lucia’s mature pristine central mountain rainforest which is home to a great variety of bird species. Guests depart the resort at 5:30 am on a special 4x4 vehicle heading north along the island’s west coast. After passing Marigot Bay the route turns to the northeast passing through a number of rural communities that surround Saint Lucia’s capital city, Castries, to reach the community of Forestiere, which is strewn along a ridgetop towards the center of the island. The road ends at a Department of Forestry facility where you will meet your birding guide. The guide will then lead you along rainforest trails on Piton Flore and the surrounding ridges. This tour requires a moderate level of fitness; appropriate footwear is strongly recommended. The tour includes a packed breakfast, juice and bottled water. Grand Anse Beach is a relatively isolated mile long expanse located on the island’s northeast coast. Relentlessly pounded by the trade winds and corresponding rough seas the beach and nearby area have remained pristine and undeveloped. The nearby forested area is a designated iguana reserve and the beach itself is well known in the region as a key nesting site of the endangered Leatherback turtle. While the journey to Grand Anse is a lengthy one it does allow guests to see some very unique St. Lucian locales with great sightseeing along the way. While not being one of St. Lucia’s more well-known birding sites due to its isolation, many species will be encountered along with possible iguana sightings. As well, Grand Anse is one of the only locales on island where the Night Jar and Masked Duck are regularly seen. Guests travel via land taxi to an area north of the capital city, Castries, where you will meet your guide and transfer to a heavy duty 4x4 vehicle, which is required. A packed brunch is provided to be enjoyed amidst the secluded exotic surroundings. Due to dangerous currents it is strongly recommended that swimming is avoided. * Tour includes a packed brunch, juice and bottled water. 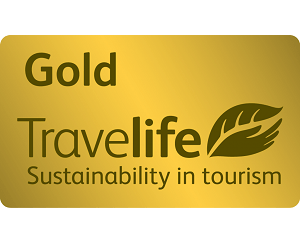 You will depart the resort at 6:30 am by private taxi to travel to the rainforest covered mountains east of the town of Soufriere accompanied by our resort guide. The tour starts at the entrance to the Edmond Forest. This rainforest trail is relatively flat as it mostly follows the ridges in the area; up to 6 miles can be covered depending on the time of year and conditions. 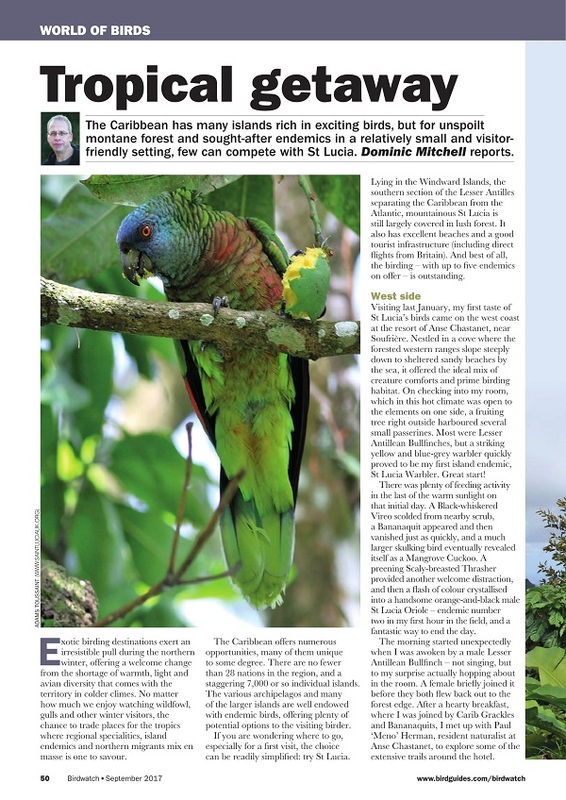 There’s a very good chance to see the St. Lucia parrot and many other endemic species. The tour includes a packed breakfast, juice and bottled water. This hike requires a moderate level of fitness. Be sure to wear appropriate footwear. It should be noted that the following tours – Gros Piton Hike, Enbas Saut Hiking Tour, Dolphin & Whale Watching and Tet Paul Nature Trail – are led by guides that are not necessarily trained birding guides but are very familiar with flora and fauna encountered. Upon request, a trained birding guide can be arranged to accompany participants. Climbing Gros Piton is a strenuous challenge and should be undertaken only by very fit and experienced hikers. You depart Anse Chastanet at 6.30 a.m. and begin your tour at “Fond Gens Libres” which is translated as “village of the free people”, a forty-five minute drive from Anse Chastanet. Upon arrival you will be met by the Gros Piton guides. As you set off you will encounter the rare birds and wildlife that find sanctuary in this rugged and somewhat remote part of the island. The St. Lucian Wren, St. Lucia Oriole, St. Lucia Black Finch and the Red Neck Pigeon are just some of the rare bird species that will add to your experience along the trail. You will also notice changes in vegetation which are quite obvious as you proceed to the summit. Transitions range from an arid deciduous woodland along the coast, to broad middle zone rainforest and an upper mountain zone of Elfin woodland and wind-swept dwarf forest. The first half of the trail involves climbing over large rocks as the trail starts gradually in a gentle slope where the Caribbean and the village at Choiseul can be seen to the south. The second half of the trail involves a steep ascent to the Gros Piton summit and is intended for the more adventurous hiker. This climb is approximately 3 to 4 hours round trip. If you make it to the top, which is 2,619 feet above sea level, you will have climbed one of St. Lucia’s national landmarks. The Pitons and the surrounding area have been designated as a World Heritage site. You may find that the steep descent will be especially hard on your knees; take it slow and be cautious along the way. It is strongly suggested that you carry water along the trail. Suitable hiking shoes are also recommended. The tour may be subject to cancellation due to inclement weather as a matter of safety. The Enbas Saut falls trail is a 4 km trail which passes through one of the most remote, wild and unbelievably scenic parts of the island. The trek features a combination of Rainforest, Cloud Forest and Elfin Woodlands as well as a chance opportunity to enjoy our local wildlife including the elusive St. Lucia Parrot (Amazona Versicolor), St. Lucia Oriole, St. Lucia Black Finch, Blue Hooded Euphonia, or Mountain Whistler. The hilly terrain of Piton Canarie, Piton Troumassee and Mount Gimie are viewed along the way. Enbas Saut, when translated to English, means “below the falls”. This trail is most famous for its two cascading waterfalls and pools at the head of the Troumassee River. Guest pick up is at 8:00 a.m. in upper car park. You will reach Edmond Forest Entrance by Fond St. Jacques at 8:45 a.m. where the guide will await you at the entrance. Soft drinks are included. Take your bathing suit and towels if you wish to get under the falls! It is most definitely invigorating! Enbas Saut is a challenging and strenuous hike and should be attempted only by those with an above average fitness level. To take in the beauty of the blue Caribbean, guests enjoy a morning of Dolphin & Whale Watching viewing the magnificent sea mammals in their natural setting along with great views of Saint Lucia’s spectacular west coast. 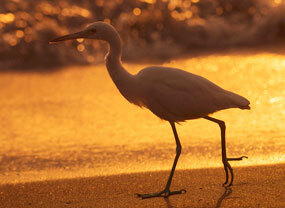 Guests can expect as well to encounter sea birds along the way. When whales are encountered the engines are cut and a hydrophone is dropped into the water to allow guests to hear the calls and singing of the impressive sea mammals. Sperm Whales, Short Finned Pilot Whales, Humpbacks and Spinner and Bottlenosed Dolphins are regularly seen off the coast of St. Lucia. They can be seen for the most part of the year, although the months of December to March may be more productive for sperm whale bulls. For guests who wish to enjoy from up high the majestic beauty of the world’s most famous pair of mountains – but don’t wish to do any serious hiking or climbing – the Tet Paul Nature Trail is for you. Traveling by taxi you will pass through the town of Soufriere to a small mountain top community in the nearby countryside. The Tet Paul Nature Trail, which is approximately ½ mile in length, affords an easy stroll through the cool air in the midst of St. Lucia’s World Heritage site. Great views of both Gros Piton and Petit Piton, the island’s southern region and the blue Caribbean below abound. And of course there is plenty of natural beauty along the trail which requires a modest level of fitness and exertion. Note: Tet Paul is a good birding site but you will see no species not normally seen at Anse Mamin and the Anse Chastanet grounds but the spectacular views can make it a very worthwhile excursion for birding enthusiasts.